We are now a few months into the introduction of Latitude’s Caesarstone Vanity program, and it seems to be off to quite the fantastic start. I have been making my way across Ontario, approaching Kitchen and Bath dealers with this program, and so far, the reaction to the vanity program has been very well received. 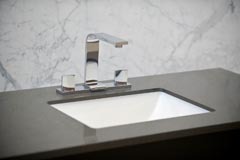 Kitchen and Bath dealers are taking advantage of the ability to offer a quartz vanity top with an undermount sink included, at competitive prices to other, less-sustainable, materials. Currently, the vanity program is available from Ottawa to Waterloo, with many companies in Toronto offering this great deal. Latitude will continuously be looking to expand this program, so please make us aware if your company is interested in offering this program to your clients. 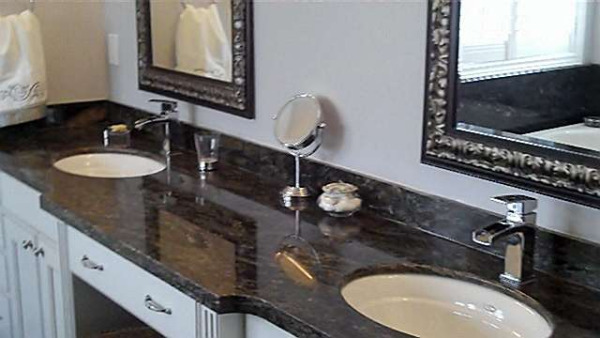 We have found that most Kitchen and Bath dealers that mention these vanities to their clients that are taking part in kitchen renovations, have been able to sell the bathroom renovation as well, due to the fact that they can have the bathroom top replaced for under $500.00. As I mentioned, these vanities are available from Ottawa to Waterloo, so please contact the following dealers if you are in their respective area. If you would like more information regarding the Caesarstone Vanity program, please visit our Showroom Locator to find a dealer near you: Dealer Locator,or feel free to give me a call at 905-999-7574 and I will happily answer any questions that you may have.